Nicole Morell has worked for the Massachusetts State Police for 21 years and became the state’s AMBER Alert coordinator in 2007. Sergeant Morell also worked with the Missing Persons Clearinghouse for three years. 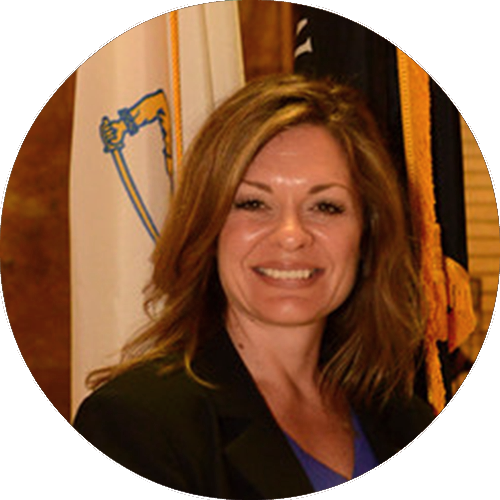 She previously worked as a detective for the Worcester County State Police Detective Unit and investigated major crimes, including the disappearance and murder of Molly Bish. Sergeant Morrell also worked as an undercover narcotics detective. What is unique to your AMBER Alert and Clearinghouse program, and what do you think helps make your programs successful? One of the unique aspects of our program is the cohesive partnership between the New England states and the importance these states place on holding annual meetings to build and maintain strong relationships among the coordinators. They allow each agency to gain knowledge and experience through past issued alerts and review of AMBER Alert plans and criteria. Due to the cohesiveness of the Northeastern states; all states agreed that when an alert is confirmed or credible evidence exists that a suspect has crossed into another state, there will be no time delay in issuing the alert. In terms of our partnership with media, our program met with the Massachusetts Broadcasters Association a few years ago to discuss best practices for an activation. As a result of the communication and understanding built from that effort, the media has not prematurely announced an alert and waits for our office to send them a press release advising them an alert has been activated. Since the passing of the Missing Person/AMBER Alert legislation, I have been a sitting member of the Missing Persons Task Force Committee. The task force discusses ways to improve missing person (juvenile) investigations. What challenges do you face in maintaining the effectiveness and strength of your AMBER Alert and Clearinghouse programs? Funding and lack of manpower. What would you like to see happen with your AMBER Alert and Clearinghouse programs in the future? What is your vision for the programs? Combine all AMBER Alert and Clearinghouse programs. When the agencies are unified, they have so much more potential in helping to resolve missing children cases. A homicide occurred in July 2011 in upstate New York. The New York State Police did not activate immediately but requested Massachusetts, New Hampshire and Connecticut to activate, which they did. During the after-action meeting, we discussed the importance of the requesting agency agreeing to activate as well. While an alert is not normally activated to locate a suspect wanted for fleeing from a crime scene, the requesting agency should issue an alert for several reasons: the abductor is the suspect in a homicide; the chance of a child being harmed or murdered is heightened; and the child is considered to be in danger due to the police search, which could result in a motor vehicle pursuit or violence when the suspect is located. How have your career and life experiences, including your work as an AMBER Alert Coordinator and Clearinghouse Manager, strengthened your commitment to helping endangered, missing and abducted children? Since the Massachusetts AMBER Alert program’s inception in 2002, we have maintained a 100 percent success rate. I credit this to the investigative knowledge of our team, which consists of one full-time and two part-time coordinators with 30 years of collective investigative experience. Our team also has seven detective captains and majors from our Division of Investigative Services. Our team understands the importance of acting quickly but effectively to recover our most vulnerable population.